Kyle Connor scored the first two playoff goals of his career and added an assist as the Winnipeg Jets defeated the Nashville Predators 6-2 on Saturday night to take a 3-2 lead in their second-round playoff series. Dustin Byfuglien and Mark Scheifele had a goal and an assist each, while Paul Stastny and Mathieu Perreault also scored for Winnipeg. Connor Hellebuyck made 38 saves to get the win. Blake Wheeler had three assists, while Nikolaj Ehlers added two of his own. Yannick Weber and Ryan Johansen replied for Nashville. 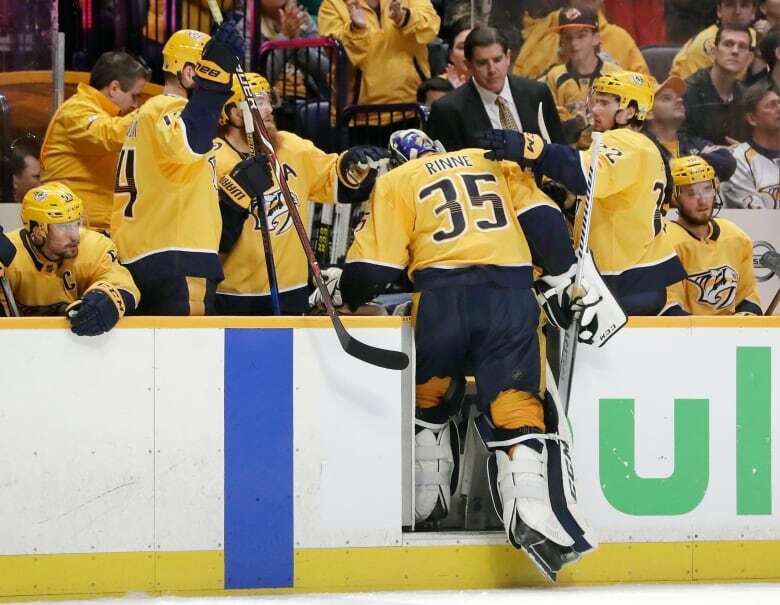 Pekka Rinne stopped 20 of 26 shots before getting pulled in favour of Juuse Saros, who finished with five saves. The Jets will look to close out the Western Conference semifinal back home in Game 6 on Monday.